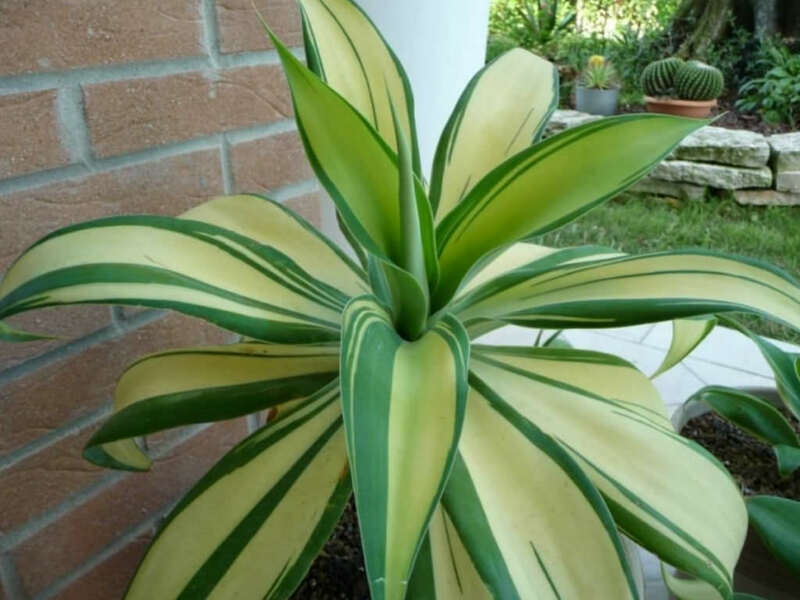 Agave attenuata ‘Variegata’ is basically same as regular Agave attenuata, except for the broad, soft, pale green leaves that are marked with yellow stripes near the margins that are different form leaf to leaf. It is far slower growing and tends to be slower to offset. 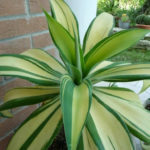 Gardeners can plant Fox Tail Agave directly in the ground or in a container. Pots and planters are easy to move around gardens that have changing light conditions. 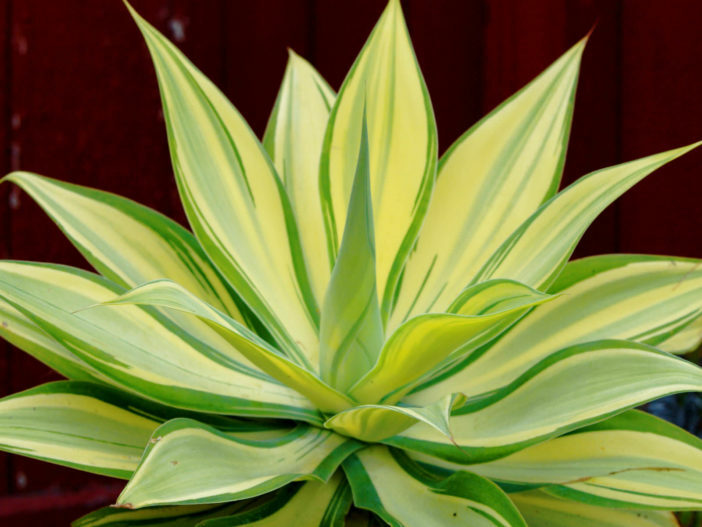 When planting the Agave in the ground, homeowners should choose an area that gets plenty of sunlight. 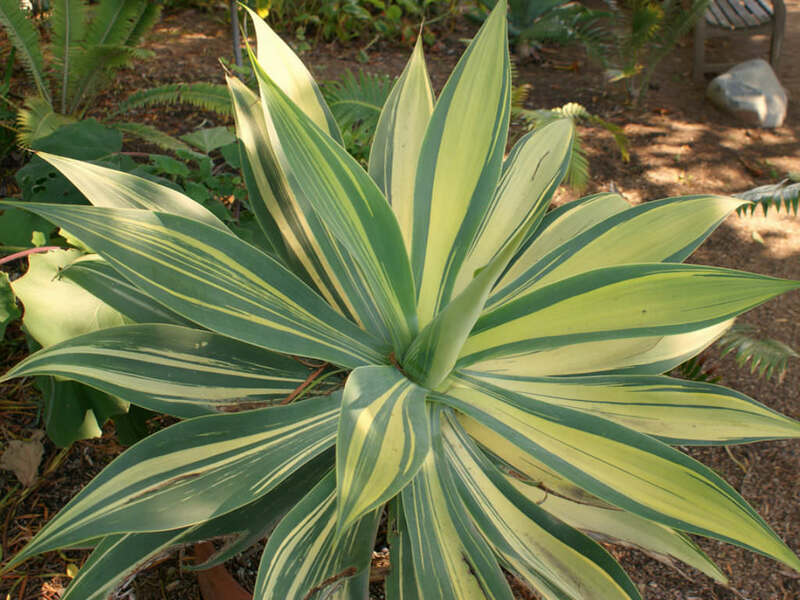 Gardeners should make a hole about the same depth as the container the Fox Tail Agave originally came in. 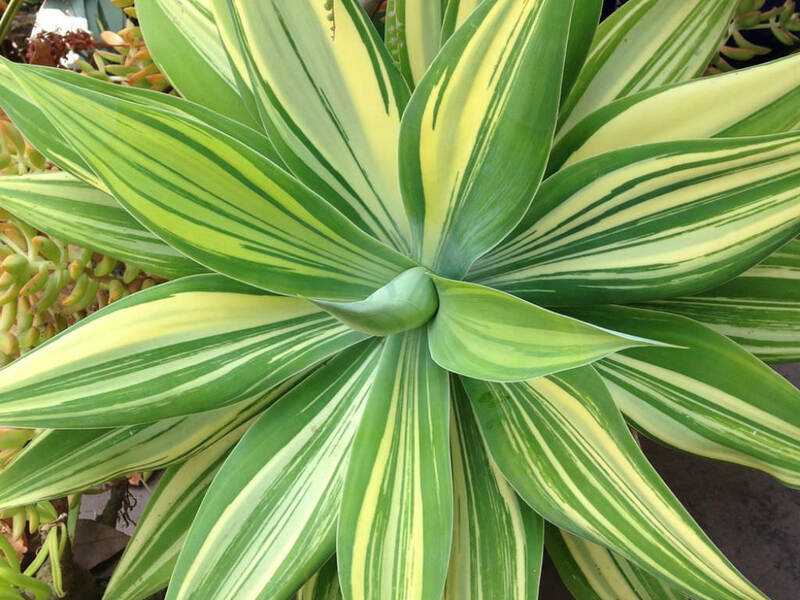 This keeps from shocking the plant. 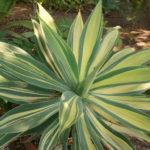 Once it is in the ground, gardeners should pat fill dirt lightly around the plant and water it well. The same rules apply for containers or ground plots. 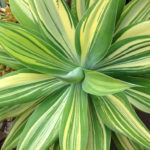 Garden origin (Nursery produced cultivar).